analyse patterns, and offer NBO based on deep understanding of consumers. These do not provide a complete view on marketing impact. 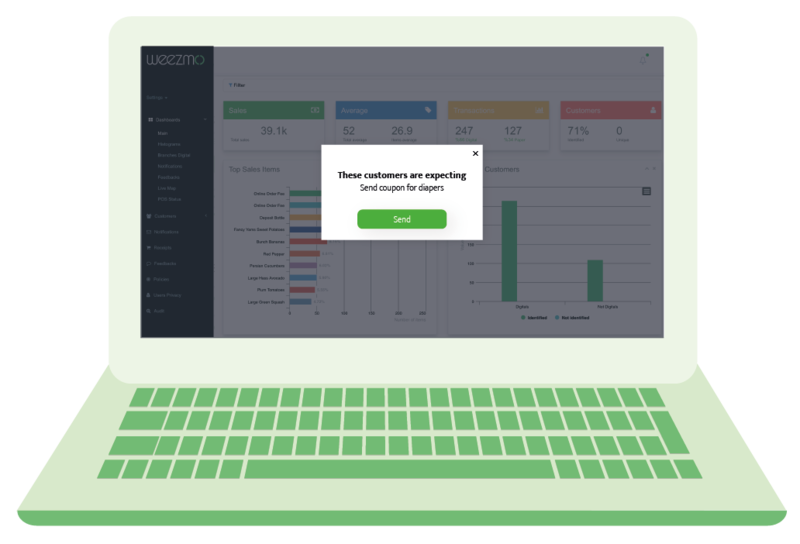 Unite valuable data and let Weezmo analyze to make sure the correct parameters are being measured and utilized properly to maximize success. Empowering brands by providing interactive digital receipts, thus increasing consumer retention and loyalty. Through this, Weezmo receives access to the client’s activity on various online channels and is able to learn about their interests and consumer buyer behaviours. 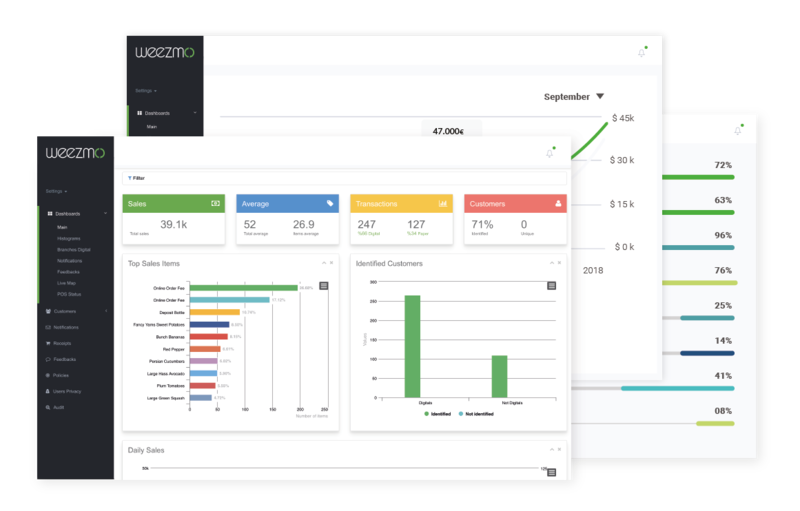 In the creation of the Weezmo dashboard, we utilized cutting-edge machine-learning based algorithms to recognize patterns with consumers’ behaviours. These are showcased in the dashboard. Weezmo’s AI-driven platform will analyze data and propose the right offer to the specific customer, just at the right time. Weezmo is making retailers aware of their consumers’ behaviour, both offline and online, so they can fulfil their wants and needs.